Witch Nose.Includes: One warted latex witch nose.Available Size: Adult - Standard. 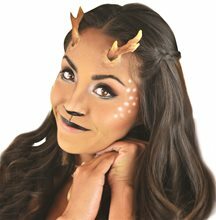 (One Size Fits Most Adults and Teens)*Spirit gum, spirit gum remover, and makeup not included. Sold separately.Cinema Secrets takes pride in the manufacturing of great quality latex prosthetics. These noses are made of full latex and come with detailed step by step instructions. These noses are standard adult sizes. Spirit gum, spirit gum remover, and makeup are sold separately. 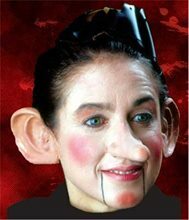 The small Witch features a warted latex nose. 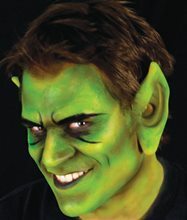 Woochie Orc Ears.Includes: Two Woochie Orc slip on latex ear tips . 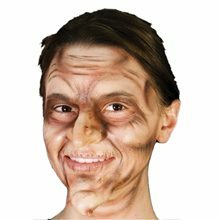 *Spirit Gum Adhesive, Remover, Makeup, Costume and Accessories Not Included. Sold Separately. 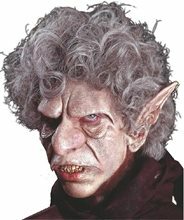 Cinema Secrets Pro Artist Orc Ears Woochie Prosthetic, Slip latex ear tips by Woochie. 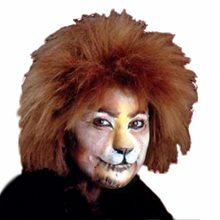 Apply with spirit gum, or for better and longer adhesion use Pros-Aide, Pro Adhesive or Beta Bond Plus. Woochie Troll Ear Tips.Includes: One Pair of Troll Ear Tips. Available Size: One Size Fits Most Adults and Teens. *Costume, Makeup, Adhesive, Adhesive Remover and Blood Not Included. Sold Separately. 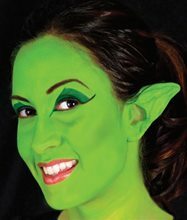 Complete your costume with these awesome Woochie Troll Ear Tips! A great addition to many costumes!